Julie has been an editor and author’s mentor for more than 20 years. She is a graduate with honors from the English and journalism programs at the University of Arizona, and she holds a master’s in literature from Indiana University. While a graduate student, she taught introductory composition and tutored writing courses for students with learning disabilities; as an undergraduate, she was a writing consultant on the founding staff of the University of Arizona Writing Center. While in Indiana, she took a creative nonfiction course in nature writing, kindling a keen interest in environmental journalism and natural history. Reading works by Leslie Marmon Silko, Edward Abbey, Barbara Kingsolver, and other writers also drew her back to the “wide and aching sky” of her native Tucson, where she worked as a bookseller and volunteer naturalist before returning to the University of Arizona for an interdisciplinary master’s degree in ecology and education. Ever since, Julie has put her skills to work on behalf of her lifelong love for nature. She spent 7 years as publications director for a national endangered species advocacy organization, and she continues to write, edit, and design communications for nonprofits working to create more locally sustainable communities and protect wildlife and wild places. True to her own interdisciplinary path, Julie is particularly interested in writing that interweaves natural history and the natural sciences with literature and art, as well as authors who combine poetic and journalistic sensibilities to document the stories of real people and places. She includes in this vein favorite authors Terry Tempest Williams and Luís Alberto Urrea, as well as books like Cadillac Desert, God’s Middle Finger, and Jon Krakauer’s work. Her graduate studies in literature focused primarily on African American literature, resistance literature, 19th- and 20th-century American realism and romanticism, American folklore, and feminist criticism. Other favorite and influential authors include Toni Morrison, Arundhati Roy, Keri Hulme, Pablo Neruda, Charles Bowden, and Wendell Berry as well as Hemingway, Whitman, and Thoreau. 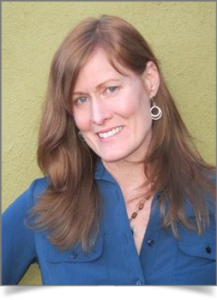 Julie enjoys editing nonfiction and fiction work across a wide variety of genres. Her other interests include graphic design, photography, riding bikes, hiking, backpacking, wildlife watching, gardening, cooking, and hanging out with her dogs. A self-described native-plant geek, she counts well-worn plant guides among her most cherished books.